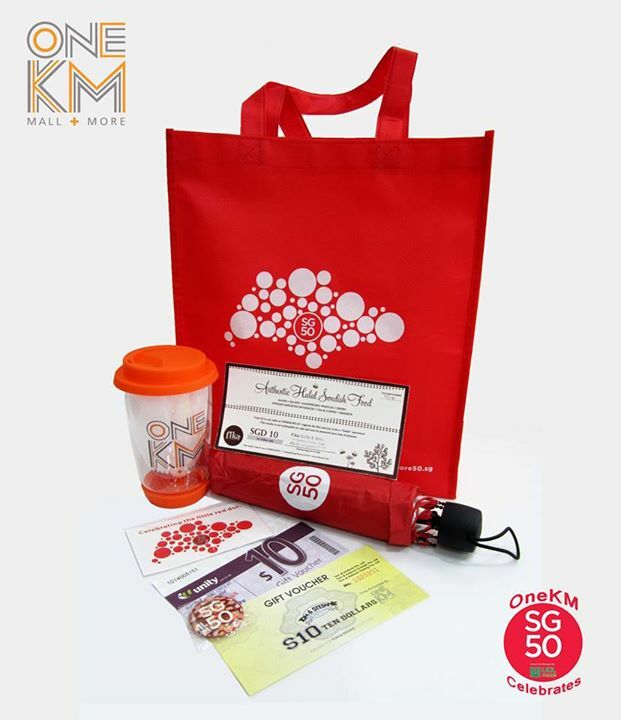 Stand a chance to be one of the 10 lucky winners to receive an SG50 Goodie Bag worth more than $50! Contents include an SG50 Foldable Umbrella, an Exclusive Double Wall Glass Mug and Retailers’ Vouchers. LIKE our Page, Tag 5 friends OR Share this post to qualify! Results will be announced on 4 Aug, Tue! Go to OneKM Singapore Facebook page now.